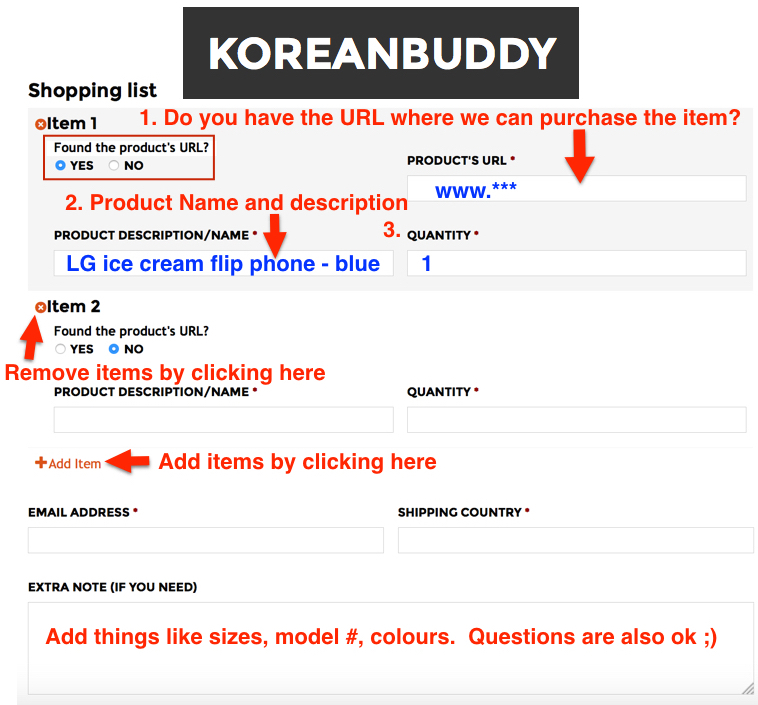 In this guide I am going to show you exactly how to find specific items, decide on product options and the get the required information to order off of The Face Shop (더페이스샵) using KoreanBuddy. The Face Shop is a really popular brand here in Korea with stores everywhere, and uses natural ingredients in it’s products. It markets itself as environmentally friendly. The Korean website is good and the English website is terrible. You can’t even buy anything from the English site. It’s informational only. The Chinese site is even worse because most of it is in English!! So there is no option but to push ahead and use the Korean version of the site. Let me show you how. First of all, the search function is useless in English so don’t even try. 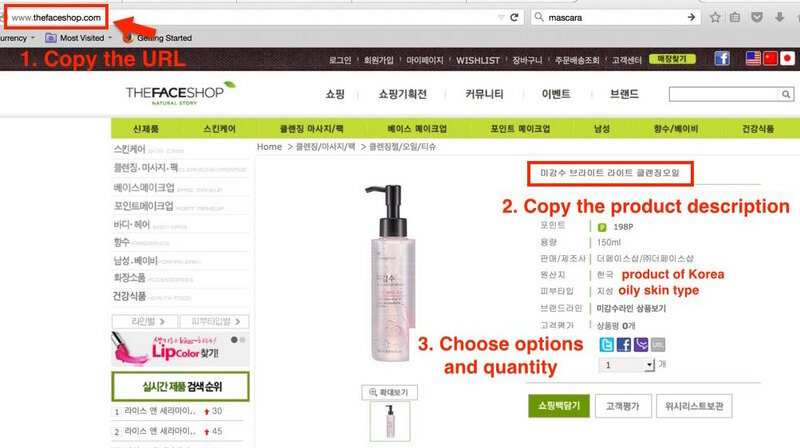 Tip#1 – If you find the product(s) you want check if they are on Memebox (Korean site). Memebox Korea prices are usually 15% less than the brand site, but they have less options on Memebox. Tip#2 – The website address doesn’t change as you navigate this site. Just let me know the basic URL when ordering from this site. I will find the cheapest price for you. Let’s look for eyeliner to apply in the morning and an oil-based cleanser for the evening routine. Here is the main menu translated. 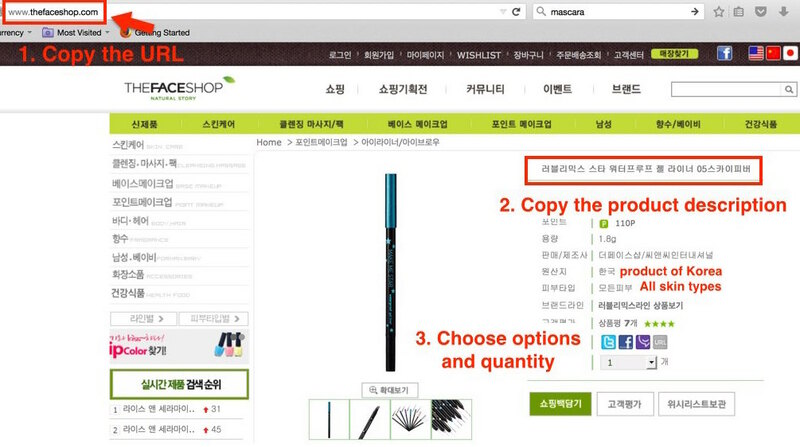 Product #1: Eyeliner – To start, take a look at the menu above and click on the eyeliner category highlighted. You can see there are a bunch of options. Use the cosmetics glossary if you know you want ink (잉크), gel (젤), or pencil (연필) eyeliner. I chose a blue gel liner for 5,500 won. 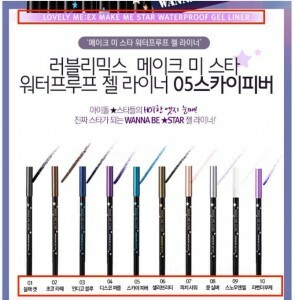 I just checked at Memebox and the same product is only 3,800 won, so I will buy this from Memebox. 30% savings. You’ll notice the website address doesn’t change as you navigate the site, in this case just let me know the brand name and I can find it. 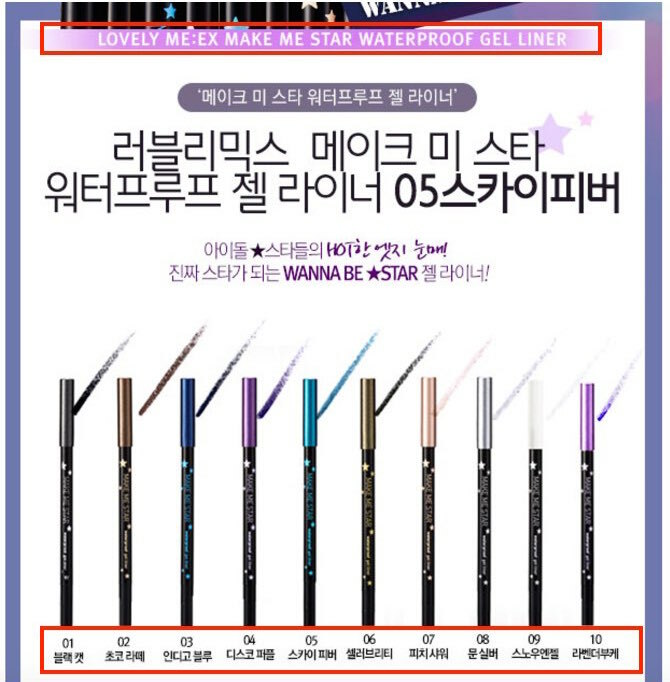 Probably for cheaper too 🙂 To order this eye liner 1. copy the URL and paste it into the order forms on KoreanBuddy 2. copy and paste the product name. 3. Tell us the options you want like color and size. 4. Enter the quantity. If you ever have any questions just send me a message on chat and I will get back to you quickly. This liner is part of a set of colors we can see below. I would choose the colors based on the product number, for example blue is #05. There are also product reviews and ratings at the bottom. This one got lots of 5 star reviews. Product #2: Oil-based cleaner – From the main menu find cleansing on the left and then click on gels/oil/tissue shown in the picture below. Then I scroll down a little and see two or three options. The Rice Water – cleansing light oil are 9,900 won ($8.35) on The Faceshop webstore, but only 7,900 won ($6.70) on Memebox so again I will order this from Memebox and get free shipping too. Update – these just went on sale for 4,950 won ($4.20) each. Good example of how I can find you some great deals. The reviews at the bottom are a little mixed, but for 7,900 won I want to give this a try. You’ll notice the website address doesn’t change as you navigate the site, in this case just let me know the brand name and I can find it. Probably for cheaper too 🙂 1. copy the URL and paste it into the order forms on KoreanBuddy 2. copy and paste the product name. 3. Tell us the options you want like color and size. 4. Enter the quantity. Remember, when you order from Korean buddy, I will find you the right item with the best price, so maybe I can find this even cheaper for you. Update – The Rice Water – cleansing light oil just went on sale for 4,950 won ($4.20) each. Good example of how I can find you some great deals. If you ever have any questions just send me a message on chat and I will get back to you quickly.